The end has come…but not for long! I just want to say a massive thank you to everyone that has helped me; with my fundraising, those who wrote letters and sent emergency parcels of chocolate and hair conditioner throughout the year, those who read my blog, those who distracted my parents from missing me too much and all my kiddy winkles and friends at Vidya Vanam. I will never ever forget my wonderful time in India-in fact I’m still struggling to nod normally again-and I will be back. 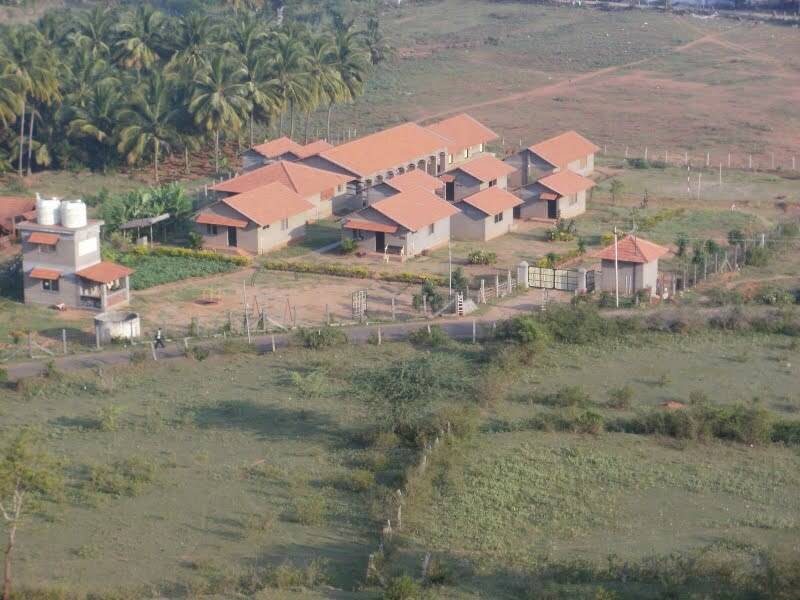 Things at Vidya Vanam are going along as usual, but I thought I would update you on what has changed since before the summer. I am no longer the single science teacher as we now have a much more proficient lady to take over! She is a very good teacher with a strong understanding of science. I still assist in her lessons but she is more than competent. Instead, my new role is as Vocational Agriculture teacher. We’re in the midst of planning a new vocational school to begin next summer, this will include courses on computer technology, agriculture, dance, music, textiles and more is still to be decided. At the moment, we’re integrating the idea into our regular curriculum for the two senior classes with 3 agriculture periods a week and additional dance and music classes for selected students after school. As far as I’m concerned, my lessons are to be practical, hands on lessons with as little writing as possible. This pretty much translates to ‘gardening,’ or has done so far. I’ve divided the ground up and split it between small groups. Each group has a topic; flowers, medicinal plants, herbs, spices and vegetables. Obviously there has been a little mixing between the groups with the Ganga flower team also growing spinach and those who have medicinal plants dedicating full beds to lady’s finger seeds or so on. We’ve prepared the ground by digging and weeding and watering and planted seeds and shoots. It’s amazing to see students who are bored to sleep in the classroom just come to life when they get outside. Many of the kids have a much greater knowledge of the plants and earth than I ever will, and I feel a bit of a phony calling myself their teacher! At the moment we have quite a few flowers growing, as well as some chilly plants, onions, coriander, tulsi (a variety of herb which they compare to basil), aloe vera, mint, tomatoes and multiple types of ‘spinach’ or in Tamil – keerai. We have also planted and have little seedlings for beans, pumpkin/watermelon (nobody is quite sure), lady’s finger, more chilli plants and God knows what else! We found that when we put the seeds in the ground it took such a long time to grow, so as a replacement for little pots we used halved coconut shells and made holes in the bottom. No easy task as my pen knife is now very blunt! These seeds are growing much quicker and I think we will have to transplant them into the ground pretty soon. Teaching a subject like this is very relaxing because all the work is fun and practical, it’s also so interesting because I learn just as much as my students. We’re in the middle of trying to dig a compost pit, but struggling to find somewhere without rocks, roots or pipes. Hopefully this will be the next stage of our classes because the soil quality is so poor it’s important to do something about it. The new science teacher, Vidya, also just helped me with assembling a structure for climbing plants, like beans and pumpkin/watermelon. Apparantly if you tie rope around the seedling and to the top of the frame then the plants will grow faster. I’ve never heard of this before in my life! My Grandad has also been a great help, giving me all sorts of information regarding the garden. But unfortunately he has no ideas on our most recent addition of a banana tree! After a decrease in altitude, increase in temperature and a very long and sticky bus journey, we arrived in Chandigarh. This was Caitlin’s choice of city: being a potential architect, she wanted to soak up and admire the work of Le Corbusier who worked to develop the city. His city plan was the first since independence in 1947 and the organised, streamlined appearance is in stark contrast to any other Indian city I have seen. Whilst we were there we visited the museum, the famous Open Hand sculpture (which involved Katie charming a security man to let us in) and I had the most amazing paneer. I know I generally try and tell you about all the interesting cultural things I’ve done in this blog, but this paneer is essential to mention. Nobody was really hungry, Caitlin was set on eating puri, Katie wanted one chappatti…and I was RAVENOUS. There was paneer tikka masala on the menu and I wanted it. Unfortunately nobody wanted to share…so…after much umming and ahhing I just decided to have it all myself. A huge portion, with delicious garlic naan, the largest chunks of creamy cheese that I have ever seen in my life and a tasty tangy tikka masala gravy. It was delicious. I think it may actually have been the nicest thing I have tasted all year (aside from when my parents brought me cheese in a cool bag all the way from Scotland.) Whilst Caitlin embraced the architectural beauty of Chandigarh, the highlight for Katie and I was likely the a.c hotel which had a tv showing one tree hill on repeat, and of course the paneer. A few hours on a train and we had arrived in Delhi. Unfortunately this is a city whose reputation proceeds itself, I was terrified that we would be ripped off and kidnapped the second we reached the platform however I was pleasantly surprised. A very clean and metropolitan city, Delhi (and it’s metro) was a breath of fresh air. Nevertheless, this does not correlate with our experiences on our first night. Picture a tiny box room on the 4th floor of a non ac hotel in the middle of a car parts market in Old Delhi. Combine that with a broken generator, overwhelming heat, a large and imposing mosque, typical Indian service (ie knocking on our hotel door at 1am) and the smell of fuel seeping its way through the air equals our night from hell. Luckily after the sweatiest night of my life we moved onto a much nicer (and pricier) a.c hotel, which even had room service! In Delhi we saw some amazing things, the city has so much to offer, and met up with Katie’s partner Jess who had been travelling with her Mum and boyfriend. The best part of Delhi was certainly the Qutab Minar, which is the tallest Minar in India. I didn’t know much about it before we went, but Caitlin being the keen history lover that she is dragged us there by promising a long metro journey and Indian National 10rs entry. It was a beautiful collection of ruins with fantastic engravings and carvings. Whilst in Delhi we also visited a strange ‘Lotus Temple’ which was a large temple shaped like a lotus and seemed to be the product of a cult like organisation. Another Qutab Minar like oasis of calm in amongst the city was Humayan’s tomb, a beautiful old domed building with a Tamil speaking security guard who was very impressed by our ‘kunchum Tamil therimay anna!’ (I know a little tamil, brother.) Of course we also visited the Red Fort but I feel this much acclaimed site had little to offer in comparison to the amber fort which we saw in Jaipur. The spice market was a site to behold, bowls of colourful spices and pungent smells which almost made me choke and sneeze myself to death. After Delhi we moved on to Agra, having attempted to get a car but being astounded by the extortionate prices, we booked an overpriced train and reached there in the evening. A hectic night of trying to rearrange trains to Varanasi the next day and trips back and forth from our hotel room to the station just added to the dirty, grimy feel of the town. Despite the magical Taj Mahal, the rest of the city was an utter dump, with no good places to eat and sky high prices. I have to say I wasn’t that excited for the Taj Mahal. In fact, I kind of just wanted it over and done with so I could take the photos and say I’ve been. Whilst I do admit that it is a beautiful building and I’m very pleased I’ve seen it, I still am more excited by the less commercial Golden Temple in Amritsar. We moved on to Varanasi, the last stop for Caitlin and I. The winding streets and beautiful river all made it a very special place to finish our journey. Our guest house was situated right on the river bank and offered a great boat trip, as well as elephant themed decorations in the rooms. We took one boat in the evening where we saw the night time pooja and the burning of the bodies. I know the thought of watching bodies burn is rather disgusting and impersonal; almost as if we’re prying into something uninvited. But it didn’t feel like that at all. Watching the stoic husbands, brothers, uncles, (women aren’t permitted to attend the burning because they are not as emotionally stable-obviously) I wondered what they were thinking, I thought about the life of the person who had died, and I realised that the burning and returning to God by the way of the Ganga was something very important for the many Hindu’s who had made the journey to Varanasi. There was a feeling of peace, as if everything had finally settled. With that, our journey came to an end. We took a quick train back to Delhi and spent half a night in a hotel, before getting up early to fly back, to my Indian home, for what would be sure to be an emotional last few weeks at Vidya Vanam. After the serenity of Amritsar, we headed further up North to what was another holy spot. Upper Dharamashala, now known as Mcleod Ganj, is the headquarters to the exiled Tibetan Government and the Dalai Lama. Unfortunately I was visiting at the same time as His Holiness was in America therefore wasn’t lucky enough to meet him. The tiny town of Mcleod Ganj is set in the side of a hill, right at the foothills of the Himalaya. Once again, we arrived in the dark (we had Sarah’s friend Danny escorting us, so it was safe) but we missed any scenery and felt quite displaced when we woke up in the morning. A quick peek out the bathroom window, and I had woken Katie and Caitlin with my squeals of excitement at the breathtaking mountains covered in ice and snow. The tiny tourist town was filled with Buddhist monks in red robes, mingling with tiny Tibetan students on their way to school and smiling and head bobbing at every yoga loving hippy who walked past. The freezing temperatures meant we slept with blankets every night and cuddled up to each other for heat. All the restaurants and cafes had a Tibetan theme, with momos, dumplings, noodles and spicy broth being the perfect antidote to the chill. Prayer flags wound around every tree, and buddhist symbols and mantras were displayed everywhere. Some of my favourite signs were anti drugs and drinking rhymes which were painted on rocks and tree trunks around Mcleod Gange. Aside from exploring the Buddhist temples, turning the prayer wheels and taking walks, Mcleod Gange was just a nice place to be. Sitting in tiny cafes, drinking good coffee and discussing spirituality (I feel my holiday has been split into three: initially rocks, then religion and finally shopping) Mcleod Gange provided peace and serenity, and allowed space to think. K, C and I would happily sit in coffee shops for hours, not neccessarily talking but just thinking and soaking up the atmosphere. It was an entirely different India to anything I have ever known but definitely a highlight of my trip, once again proving the contrast of this vast and sprawling country. Our plans in Himachal Pradesh were not set in stone, as they revolved around booking buses as we went. A small overnight minibus, filled with us three and a lot of annoying Iranians, brought us to Manali. Manali was even colder and perhaps even more beautiful than Mcleod Gange, but unfortunately it was filled with tourists and the only Indians were ones wanting to exploit tourists. Famed for using yak wool to spin shawls using handlooms, it meant I splashed out on some traditional Kullu shawls. The cold did require extra layers and resulted in me purchasing a huge thick purple blanket and proceeding to walk around the streets in it. By this stage, C had fallen prey to a little bit of the travellers tummy bug and none of us were up for any extreme walking, so we hid in our hotel room, only venturing out for pizza at a little shack or to explore some Buddhist monasteries. The general backpacker crowd seemed to have extraordinarily dilated pupils and found everything a lot more hilarious than any of us, so after a quick two days we moved on to Shimla, a hill station of Himachal Pradesh. A quick night in Shimla allowed us a view of another hill station. It had a similar feel to Ooty, the hill station near us which I visited with my parents, very colonial with lots of British architecture. The town was filled with squabbling monkeys and was a nice place to spend an afternoon. Unfortunately we didn’t have enough time to visit the 8500 feet statue of Hanuman Murti which towered over the town. Sorry everyone, I am well aware it’s been over two months since my last blog post and so much has happened since then I have no idea where to start! I’m currently on my long six week holidays, which involves touring around India. We left the comfort of our home in Anaikatti on Saturday 20th April and have travelled over 2500km in the last two weeks to reach Jaipur this morning. Over that time we have had adventures in Mysore, Hampi, Mumbai and Aurangabad, ridden on trains for three days at a time, slept overnight in skanky railway station beds, eaten lots and lots of chocolate cake, spent far too much money and overall had great fun. Caitlin and I eased our way into travelling gently; we began in Mysore which is a classic small Indian town, famed for silk and sandalwood. We spent our days exploring, admiring the silk saris (but not buying-Caitlin guilt tripped me into feeling sorry for the worms), soaking up the atmosphere and tucking into fresh fruit from the market every evening. The market was an overflowing and eclectic mix of everything you could ever want. It ranged from stacks of fruit and veg, to rows and rows of bright sparkling bangles, to mounds of colourful powder used for festivals and men desperate to sell us some of their lotions and potions and essential oils. We giggled as we bartered for bangles and tested the firmness of our fruit but the catcalls of the market sellers were just a taste of what it would be like when we got further north. The palace in Mysore was gorgeous, a large building with turrets at each corner and surrounded by temples, with a surprising Scottish influence. Inside, as we wandered down the dusty corridors, admiring the lovely interior, I was pleased to see a painting of Indian soldiers sporting bagpipes and playing them for the maharaja! After a relaxing few days of our holiday, we took the overnight train to Hampi where we were reunited with a great friend and fellow PT volunteer. Hampi is literally one of the most beautiful places in the world. There’s an other worldly feel about the place as it’s a small hubbub of restaurants and hotels, nestled amongst large boulders and temples. There’s monolithic sculptures made from stone and beautiful temples. On our first day, Caitlin and I scrambled up this rocky path of steep stone steps and edged around corners to reach a temple. It was right at the top and had views of the surrounding area-alll you could see were boulders and temples mixed in with palm trees, and the ladies performing pooja in their bright saris stuck out amongst the rocks. On our second day, we collected Katie from Hospet train station. It was lovely to be reunited with someone we had spent so much time with at the beginning (we visited her project for a week shortly after we arrived in India) but not seen since and we had so many stories to share and things to catch up on. The next day we took an auto rickshaw tour of the area, visiting all the major sites and soaking up the historical atmosphere. After too short a time in Hampi, we moved on to Mumbai, but I reckon Hampi has been the highlight of my holiday so far. Mumbai hit us the minute the bus dropped us off at 8am in the middle of a roundabout in central Mumbai. ‘Where are we? !’ we asked the driver in baffled morning drowsiness as he hurried us off the bus. Next thing we knew we were in an auto and being rushed off to our hotel. Perplexed as to whether the driver had a meter or was ripping us off with his price, we all winced as he parked outside our ‘hotel’. A shabby set of stairs belonging to what looked like an abandoned apartment block awaited us, the name of our hotel was declared on the outside. Begrudgingly we tramped up the stairs to the third floor, passed sleeping security guards, dead cockroaches and floors which hadn’t been sweeped in a long time. Luckily we were greeted by a very pleasant, if somewhat peculiar, man who showed us into the clean, budget but clean, hotel. It was most certainly a relief. One day, we took a small ferry to Elephanta Island. This island was home to a collection of stone caves and large statues, chiselled out of the rock. It was an incredibly holy place of worship and was interesting to see how sacred it was, tucked away on this minute island which was an hour by boat away from the mainland of Mumbai. Mumbai truly does have some gorgeous architecture and the city was incredibly stylish. I felt out of place in my frumpy salwar and old fashioned fiddling with my doopita (shawl) to ensure it fully covered my chest. We saw men and women holding hands and a lady even wore a dress which showed her shoulders and was above her knees! Scandalous! I took full advantage of the restaurants, even persuading a stingy Caitlin to splash out on a delicious lunch in a French restuarant. I enjoyed a cappachino and cake nearly every morning…well, that is until I realised my budget was about to run out if I carried on living like the elite! Mumbai was a sharp contrast to my India, it was totally different to everything I know, but that’s part of what makes it so special. It was surreal being out in the dark, and at first I was terribly nervous-I literally have not stepped off campus past 6.30pm ever since I reached Anaikatti in September. It was fun to spend some time there, but it left me yearning for my children and the slow pace f village life. From Mumbai we travelled to Aurangabad-a stop over for visitors the the Ellora and Ajanta caves. Despite feeling, (as Katie put it) like we were in a war zone during our stay in Aurangabad, it facilitated us to see some incredible caves. Now, I do feel like I’ve seen an awful lot of stones on this holiday so far, but they have all been so special. The Ajanta caves are all set into one side of a rock, curving in a semi circle, quite high up the ground. They contain beautiful detailed paintings from a long time ago and are full of temples worshipping Buddha and Hindu deities. The sense of calm and serenity which reflects from these sights is immense, although somewhat disturbed by the cheeky monkeys who occassionally ambushed your thoughts. Ellora had a larger quantity of caves but they were more spread out. These were newer than the Ajanta ones and apparantly caused a large proportion of pilgrims to leave Ajanta and pray in Ellora. The first one we saw was astounding, but some were tiny little things which could easily be skipped past. The old stone looked a little weathered and you could see there had been attempts to preserve the caves but they still remained wonderful. Two nights in Aurangabad was enough and we were swift to get back on the overnight train to Mumbai, enjoying another coffee and cake in our fave cafe, before taking a 6 hour train to Ahmedhabad. By this stage we were hungry, thirsty and exhausted. It was all we could do to drag ourselves upstairs to the bedrooms and pass out asleep. The next morning, our empty stomachs growled, but we were up at 5am, ready to find the correct platform then food. Unfortunately, with the strength of Hindi and weaker English in the North, it was a struggle, and we found the train ten minutes before it left. This meant there was no time to get food or water or go to a loo. As the 12 hour journey dragged on, and we passed sand bank station after station and still no sign of civilisation was near, we realised we had not made a clever decision. This was a local, rural train which was too slow and passed through villages smaller than Anaikatti! There was also nobody to buy water or snacks from, so as the hours passed we became more and more dehydrated. At every station I would peer out the window as far as possible and search for any sign of life. After 9 hrs we finally saw a platform with a tiny stall. Katie and Caitlin sprinted off the train and bought as many samosas and bottles of water as possible and ran back to the carriage before the train slowly chugged on! Soon we reached Udaipur City and from there, we knew we were close. A last overnight train brought us to Jaipur this morning, and it’s all been going well since. I will keep you all updated as much as possible on the rest of my travels as I still have three weeks left! But for now I have to go and meet some other PT vols for dinner. PS-I hear there’s record temperatures in the UK, it’s 43 degrees centigrade here! This past month has been a crazy combination of coming and goings, and it looks like they’re set to continue right until the end of term, just a short five weeks away. The busy period began by Annual Day preparations, ‘Forward two three hop, back two three hop.’ Was just about all I ever said for three months, in an attempt to drill the steps into the rather uncoordinated ceilidh dancers. Guests and important board members from the USA were arriving, costumes were being stitched, music planned, people were running left, right and centre trying to finish last minute jobs…and then my family arrived! It was wonderful to finally be reunited after six months and it reminded me of how special it would be to go home in August. I felt so proud to be showing off my school and all my beautiful children to my family and also privileged to have the opportunity for the kids to meet my family, who they had all asked extensive questions about. My parents and sister stayed for Junior and Senior Annual Days, getting stuck in playing with the kids and helping them get into their costumes. On the Sunday they also visited school, which gave us a chance to relax, chat and go for a big long walk without the screams and squeals of excited children interfering. My family then travelled down to Kochi where they stayed for the next week. After picking up the pieces from Annual Day, I rejoined them the following weekend and we made our way to Coonoor. We had a lovely long luxurious weekend but we were back at school on Monday morning-right as the bell rang for assembly! My family spent some time in class with me and then that afternoon they left to fly home. In between all of this we had a fleeting visit from our Project Trust representatives. After a quick goodbye and promises of seeing each other soon, I was plunged back into school life at Vidya Vanam. Caitlin and I were to have a change of timetable: instead of helping out in class we would begin a remedial project for children who were struggling with English and Maths. Lists of children who needed extra help were formed and about ten variations of a timetable were constructed. Finally we found a solution which suited everybody and began our lessons, with children in groups ranging from 3-10. That Friday, Patma Akka, a lady working in the women’s development project, was throwing a house warming party. It was a drop in all day affair, so Sulo and I turned up early in the morning decked out in our sari’s, fancy portu’s and jewellery. There was pooja, admiration of the new house and then we were served the most delicious breakfast! Afterwards we visited a friends house where we had tea, then made it back to school in time for class. That weekend Patti, Sarah and I attended The first Coimbatore Literary Festival, mingling amongst ‘Coimbatore’s elite’ and were excited to be greeted by an elephant on our journey home. The following Monday, Caitlin’s family visited and we spent the next couple of days showing them around and introducing them to everyone at school. It was surreal to finally meet her family after a long six months of wondering what they were like. Caitlin had an unexpected visitor, which turned into a marriage proposal, Rajesh and I rode the van to drop the kids off on the Kerala side, Caitlin, Sarah and I also went in the bus on the Tamil Nadu side, we visited a staff member’s house for lunch last Sunday, Caitlin and I experimented with henna, there’s a new Hindi teacher and the school is in the midst of preparing for an important inspection. This afternoon we walked to the old Hindi teacher, Mini’s, home. Mini is pregnant and due to a previous miscarriage she was advised to stay home and no longer work, so tomorrow she leaves to go to her mothers house where she will stay until after the baby is born. The baby is due in September, so we will not see her again and it was a bit of a tearful goodbye. Ayshweria, the science teacher, is leaving next weekend. Last night Caitlin got bitten by a scorpion and today we went shopping in Coimbatore! A more detailed update is coming soon! But seeing as it may take its time I figured I should give you a taste of all the exciting stories I still have to share with you.